Sam Acho reported to Naples Florida this week to begin his training at Ignition for the Under Armour Senior Bowl and the NFL Combine. 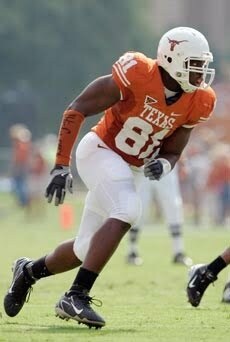 The Texas defensive end is on of the top Defensive Lineman in the 2011 NFL Draft. Acho is the winner of the William V. Campbell Trophy, given to college football's top scholar-athlete. He was also awarded 2010 ALL-BIG 12 FOOTBALL FIRST TEAM and the 2010 RONNIE LOTT IMPACT AWARD FINALIST. Acho led the Longhorns in sacks with nine and tackles for loss with 17 this season, also adding five fumble recoveries. His five fumble recoveries lead the nation this season and are tied the UT single-season record.